This is a non-strippable, semi-permanent, clay-based adhesive. One gallon should be enough adhesive to cover approximately 250 square feet. 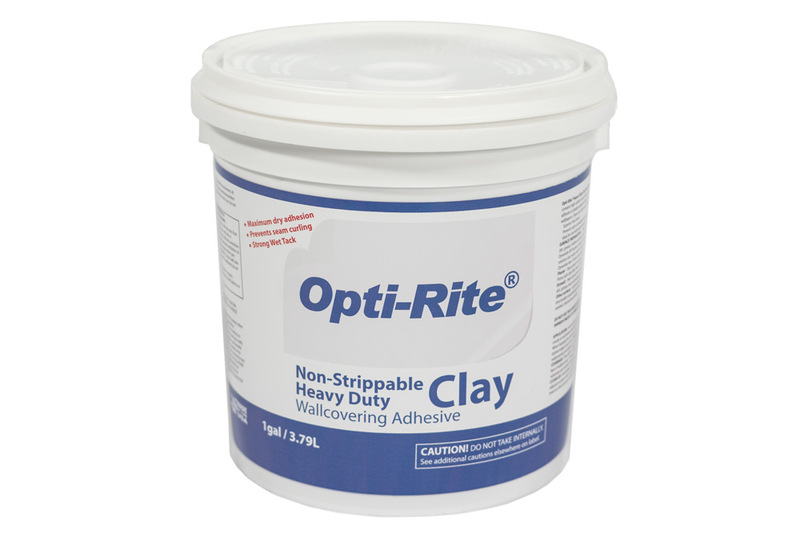 Note: We recommend preparing installation surface with Opti-Rite® Primer, a white acrylic primer especially if you are concerned about being able to remove the wall covering at a later date. This will allow you to remove the dry erase wall covering more easily with less damage to the drywall, etc. while also creating a proper and smoother bond. Opti-Rite Primer is sold separately. Other Surfaces - In general, surfaces should be clean, dry, smooth and structurally sound prior to priming. Glossy surfaces should be lightly sanded prior to priming. Note: Do NOT use this adhesive over oil or alkyd paints, primers or varnish. Prime with an acrylic primer such as Opti-Rite Primer first. Prime the surface with an Acrylic primer prior to installation and let dry. Mix well before using to ensure even consistency. 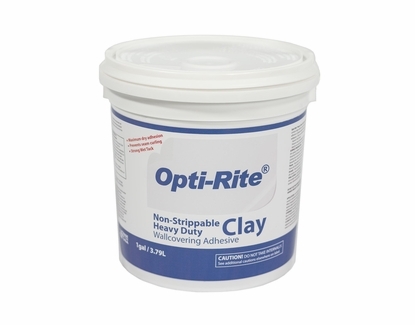 Apply evenly to wall where Opti-Rite® will be installed using a roller or stiff brush. Make certain there is adequate adhesive behind the edges and on the corners. IMMEDIATELY remove any adhesive from the face of the wall covering and adjacent surfaces with a clean wet sponge.